New York City Mayor Bill de Blasio racked up nearly $2 million in legal fees during investigations of his fundraising practices. That’s quite the hefty bill. Unfortunately for you, the Mayor will be handing you the check. 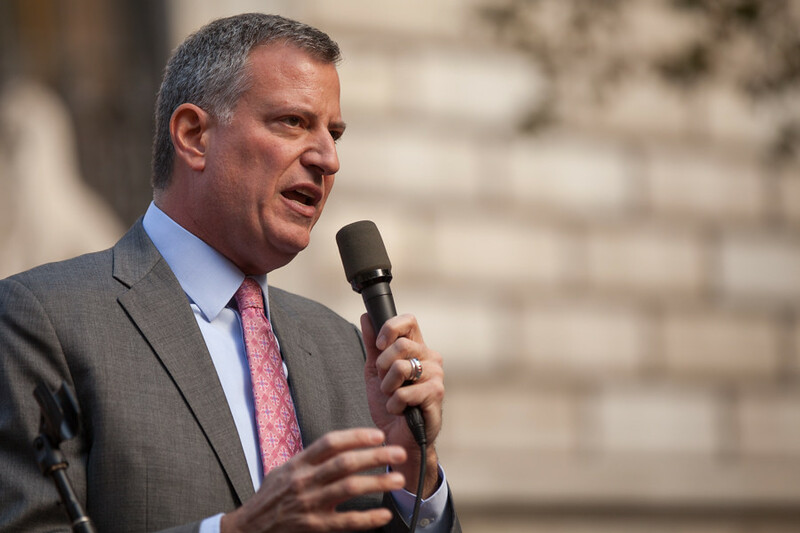 De Blasio has decided that taxpayers should be responsible for some of the financial burden. The Mayor was being investigated by the U.S. Attorney’s office and the FBI for fundraising practices. The practices in question are related to his 2013 Mayoral campaign, attempts to help Democrats win the State Senate, and the Campaign for One New York, a nonprofit that was alleged to have provided favors for donations. De Blasio claims he was “reluctant” at first to ask taxpayers for assistance, but ultimately decided they should contribute as the investigations took place during his time of government service. This is the part of government service where you, the citizen, serve as a piggy bank for the Mayor. Even though De Blasio is exploiting city residents as a legal defense fund, he will still be responsible for covering $300,000 for non-government related work that he legally cannot force taxpayers to cover. To avoid fronting that money, the City Council would need to establish a framework associated with raising money for a private fund to pay off non-public service, because there is no such framework in place. Until then, it looks like taxpayers are feeling the burden for De Blasio’s shady actions. If you’re tired of footing the bill for investigations, join Reclaim New York today!